I started collecting bottles in 1975. Hunting and collecting antique bottles was a relatively inexpensive past time/hobby in my youth. I was hunting and finding them at old home sites where they had been discarded a century earlier. I collected for many years before buying any (at the 4th Avenue Flea Market in Chattanooga, Tennessee). I first collected rocks, minerals, and fossils found in my yard in New Hope, Tennessee. I gradually moved up to stamps and old coins, culminating in finding a counterfeit 1776 Continental Dollar. I obtained the majority of the stamps and coins from my grandmother when I was seven or eight years old. 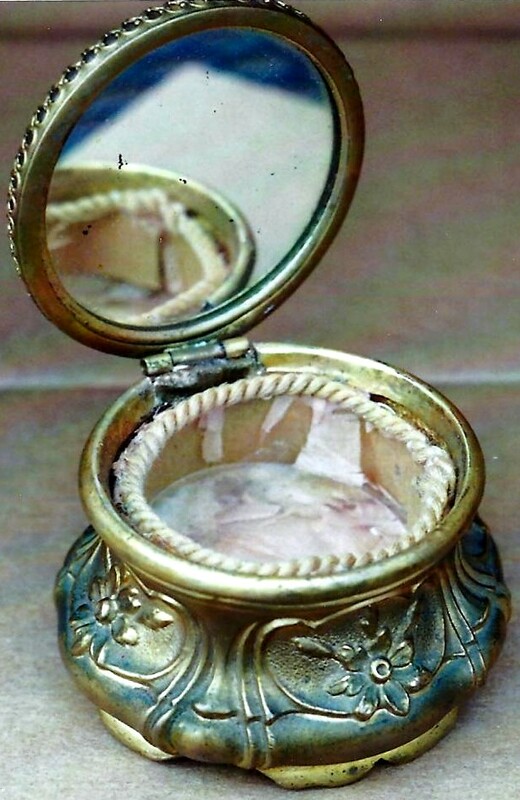 By the time I was 13 I had put those hobbies on the backburner in order to focus on Indian relics which I was finding in plowed fields, creeks, and on the banks of the Tennessee River. On the way home from an arrowhead hunt in t he summer of 1975, at age 15, I was "hooked" by antique bottle collecting when I found a cork-stoppered iodine bottle while walking across a pasture. The rest is history! My grandmother, Bessie Jane Sims (1901-1997), collected anything with horses on them - wall hanging plates, cast iron horse banks, metal, glass, porcelain, and plastic horse figurines, and the like - for probably 75 years. She kept virtually anything of value she had acquired since her youth. My grandmother passed down several items once she saw my interest in history and everything old take root. In addition to several cast iron horses, my favorite heirloom is a pressed glass plate with a grape vine border that is debossed from the back side with an image of the Last Supper. My grandmother said she ordered the plate from the 1921 Montgomery Ward mail order catalog. Today that plate is one of my most cherished possessions. WHAT ARE YOUR CURRENT BOTTLE COLLECTING SPECIALTIES? WHY? I specialize in Koca Nola soda bottles and the flag-embossed Hutchinson sodas and blob-top beers utilized by James Esposito of Philadelphia. In 1982 relatives discovered an old dump site near the Tennessee River in South Pittsburg, Tennessee while digging worms for a fishing trip. Knowing I collected antique bottles, they told me about the dump. I dug there for two weeks and found hundreds of bottles, the majority being sodas. Back then I rarely picked up crown top sodas as they weren't deemed old enough to be very valuable or worthy of adding to a collection. Nonetheless, I took 17 crown tops home with me. The best of the lot was an amber Koca Nola bottle I kept because it had two embossed towns - New River and South Pittsburg, Tenn. The two embossed town names piqued my interest, particularly because South Pittsburg was my home town! Charles David Head's first Koca Nola bottle: REGISTERED / KEEN BOTTLING COMPANY / Koca Nola / NEW RIVER AND / SOUTH PITTSBURG / TENN. In 1999 my good friend Tom Lines of Birmingham, Alabama sold me an elusive FLORIDA / KOCA NOLA / BOTTLING CO., my first Koca Nola Hutchinson. I soon reacquainted myself with my Keen Bottling Company Koca Nola from New River and South Pittsburg. Next I began to scan eBay almost daily for new Koca Nolas and was surprised at the number of bottles that often came up for sale. The prices were reasonable and I won almost everything I bid on. Noting there were a wide variety of embossed Koca Nolas from many states started me thinking the soda wasn't just the regional Southern drink I believed it to me. As one of the first people to specialize in Koca Nolas, I was able to obtain many of my best examples for a song, and that fit my limited financial means perfectly! HOW HAVE YOUR BOTTLE COLLECTING SPECIALTY AREAS OF INTEREST CHANGED OVER THE YEARS? Like most novice collectors, I kept every bottle that I happened to find in my youth and soon had little room in the house for anything else. In time I realized the folly of hoarding and sold off a nice collection of patent medicines in the early 1980s. In the late 1990s I downsized further to Alabama and Tennessee Hutchinsons, along with local bottles. I ended up with a sizeable collection of several hundred bottles, including many rarities. I couldn't add to my collection as I had hoped, as I realized there were eight Alabama Coca-Cola Hutchinson variants and three Tennessee Coke Hutchinson variants. Not having the money needed to purchase these "top shelf" examples and being savvy enough to realize I needed to collect within my budget, I sold off most of my Alabama and Tennessee Hutchinsons and used the proceeds to buy Koca Nolas that I needed for my collection. That was one of the smarted decisions I have ever made. James Esposito's Koca Nola Hutchinsons range in color from aqua to citron to straw yellow to light amber. Name brand Hutchinsons in so many colors is awesome! Then there are Esposito's Hutchinsons with embossed American flags to show he was "Proud to be An American." The details on the flags are fantastic. A very gifted engraver created the moulds for these bottles and what an endearing story they tell! Nearly all of my bottles are purchased at on-line auction sites these days. In years past, I obtained many nice Koca Nolas via AB&GC magazine advertisements. I once found a near mint Montgomery, Alabama Koca Nola at the 1,000 Mile Yard Sale. When the seller priced it, I was astounded, as it was one-tenth of the bottle's value. I quickly paid for the bottle and thank my lucky stars I was in the right place at the right time. I do dig for bottles and have been very lucky at finding rare sodas and medicines. I have had many an adventure during my 38 years of hunting, digging, and collecting bottles. I have found bottles of blood in a sinkhole, nearly met my Waterloo at the hands of an irate moonshiner, and unknowingly walked 100 yards thru a marijuana growing operation. My biggest digging adventure occurred when I found the skeletal remains of a little girl in the wall of a circa 1870s house. Evidence indicated the child was murdered by one or both of her parents. I helped bury the child in a nearby church yard where she likely attended services. This event was detailed in "The Story of Teena" in the Fall 2005 issue of the FOHBC's Bottles and Extras magazine (also posted in the "Recent Publications" section at www.KocaNola.com). Reaching a hand into the dark recesses of a wall expecting to pull out an old druggist bottle yet instead retrieving a skull is an experience I'll never forget and one I don't want to repeat! 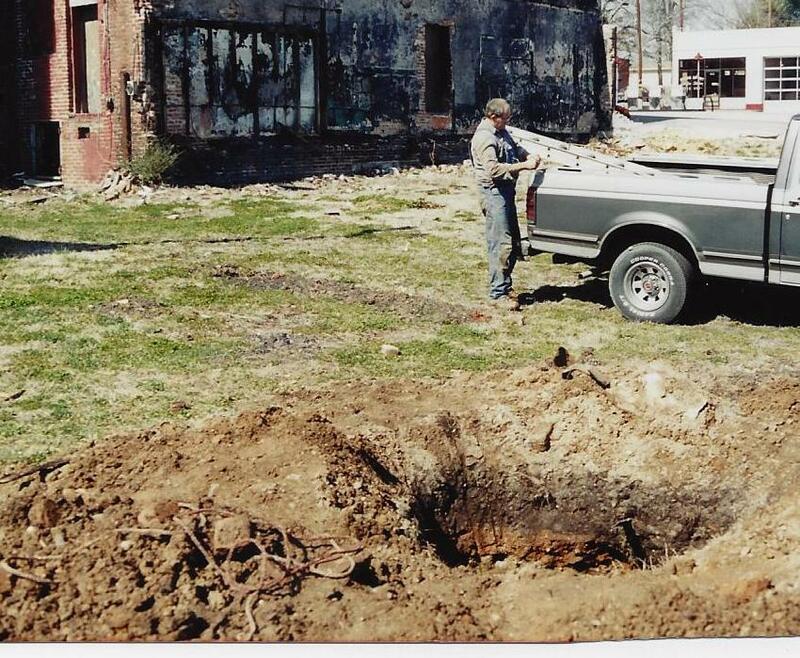 Charles David Head at a Bridgeport, Alabama exploratory dig, April 2002. Photo by Dennis Lambert. WHAT IS THE BEST HUTCHINSON BOTTLE YOU HAVE FOUND? 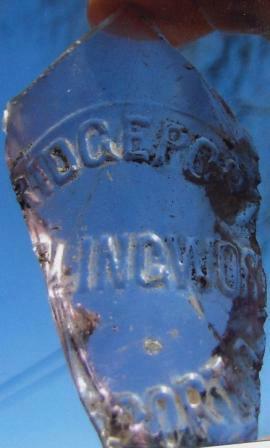 After finding numerous shards of the rare Bridgeport Bottling Works Hutchinsons in my in-law's garden in 1980, it would be 20 years before I finally found an intact bottle. I found it 400 yards away from where I found the shards, lying base up in a large ditch in front of my cousin's house. Kathy Johnson, my cousin's wife, witnessed the find. Before I picked up the bottle I told Kathy I bet it is a Bridgeport Hutchinson and it was! I danced with joy. 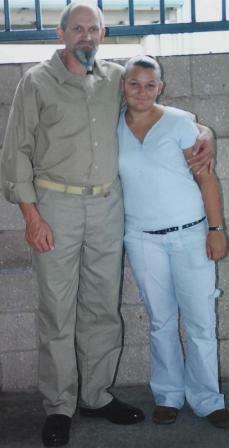 Kathy later told her husband, cousin Leroy, and the rest of the family that was the happiest she had ever seen me. The three variants from my hometown of South Pittsburg, Tennessee (TN0145, TN0146, and TN0147) top my want list. I also need AL0132, the recently discovered Bridgeport, Alabama variant. And, I'm seeking the following Hutchinsons utilized by James Esposito in Philadelphia, Pennsylvania: PA1771, PA1774, PA1777, PA1779, PA1780, and PA1781. HOW DO YOU DISPLAY YOUR BOTTLES? I prefer to display my bottles in late 1800s/early 1900s glass showcases since they hail from the same time period as the bottles. I have made my collection available to the general public on numerous occasions by displaying them at the Stevenson, Alabama Railroad Museum and the South Pittsburg, Tennessee Public Library. Doing so was a lot of fun. Yes! 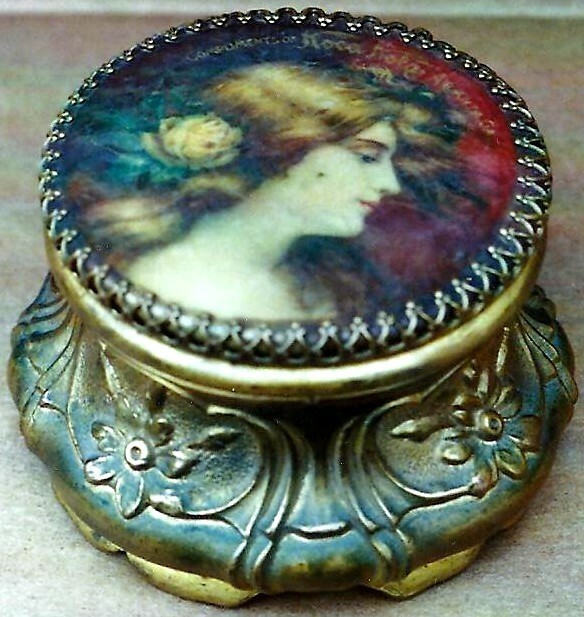 My favorite Koca Nola go-with is a beautiful, circa 1906-1909 ladies face powder box that was one of many premiums given to customers who purchased Koca Nola. Vintage newspapers and city directories are two excellent sources of information, particularly advertisements. I have had considerable success by contacting public libraries and historical societies. These nice folks are usually more than willing to help out for little or no fee. During the nine years I've been researching my book on the history of Koca Nola, I have learned that two things are required to research a subject: time and patience! Rarely is the Internet a source of reliable research materials; archives in the back rooms of libraries and courthouse basements are! By the way, all that time and patience is paying off handsomely, as A Head's Up On Koca Nola will be available in time for Christmas! The book contains everything you want to know about Koca Nola. WHAT BOTTLE-RELATED WEB SITES DO YOU VISIT REGULARLY? Ferd Meyer's www.PeachridgeGlass.com is jam-packed with information about bottles, especially bitters. Although I specialize in sodas, I do not limit my knowledge to just that area. Who knows but I may pull the only known example of a cobalt blue Drake's Plantation Bitters out of a privy one day, and having looked at Ferd's site I know that such a find would rock the bottle world to its core (ha, ha)! WHAT DO YOU COLLECT OTHER THAN BOTTLES? I also collect wall-hanging plates, the older and more elaborate the images the more I like them. I'm not talking about state plates, but those featuring religious themes, animals, flowers, historical sites, etc. At last count I have 60+ different plates. My favorite depicts a horse centered on a square, fancy, hob-nail bordered plate. Looking at the plates decorating my grandmother's house in my youth no doubt influenced my desire to collect these plate.